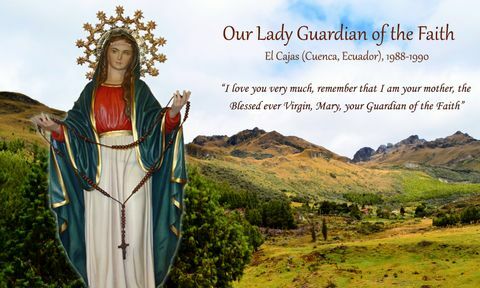 High in the cold and rainy Andes Mountains of Ecuador, Our Blessed Mary reportedly appeared in the remote farming village of El Cajas to a sixteen year-old girl named Patricia Talbot. Known affectionately as “Pachi” to her countrymen, she was a beautiful young woman who already had a promising worldly career as a fashion model. 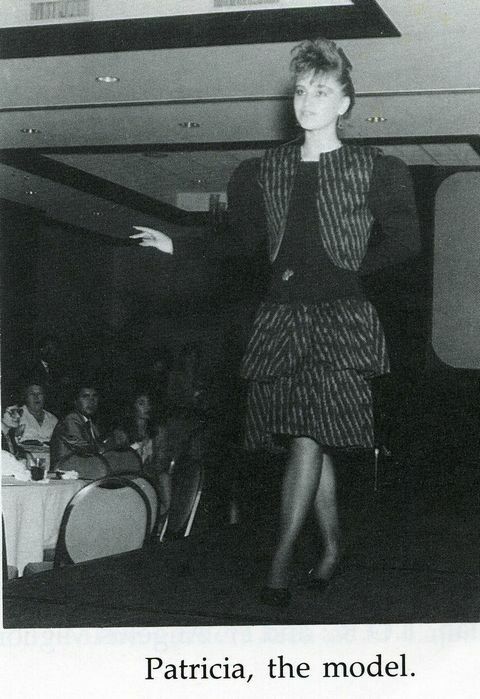 She was not a particularly religious woman and had been much more excited about traveling the world, promoting her country by modeling modern clothing inspired by the traditional clothing of Ecuador. 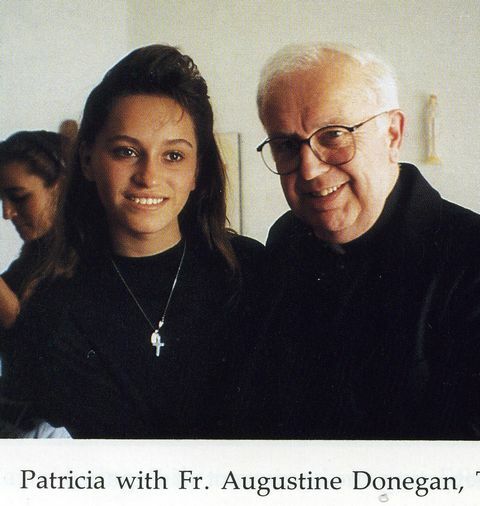 She was not interested in spiritual things and had even refused an invitation to view a school video about the apparitions at Medjugorje, assuming that “those things just don’t happen anymore.” Her mother worried about her increasing vanity and costly trips. 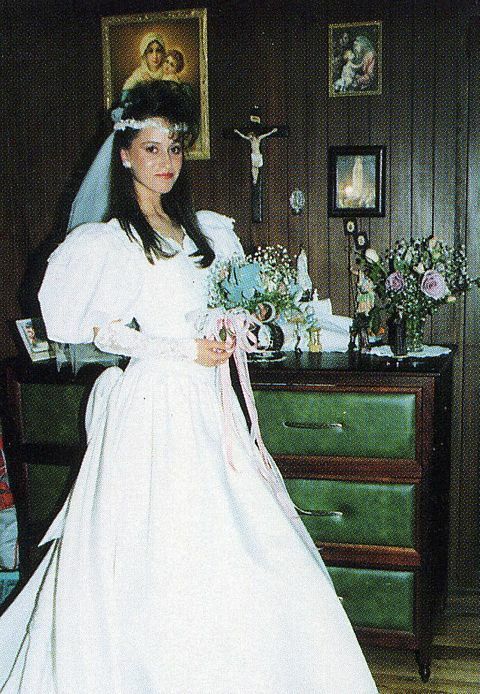 On August 28, 1988, at 4:50 a.m., a great light invaded her bedroom at home, and Blessed Mary first appeared to this 16-year old out of the light. Pachi was very startled — but not afraid. 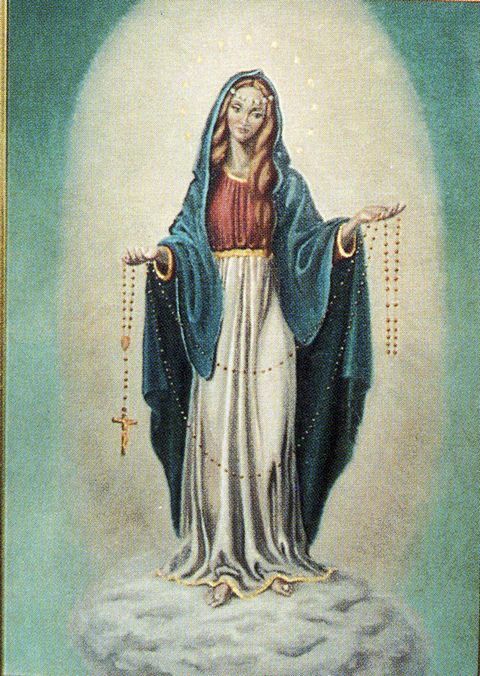 When asked to pray, she began to quickly say an “Our Father,” but Mother Mary told her to pray it more slowly and with feeling. Then Our Lady vanished, leaving a soft scent of flowers, which remained for three days in the whole house. Patricia, a 16-year old model, is about to have her life change. Pachi felt confused and cried. She woke her mother and told her what had happened. They both prayed together until dawn. Later that morning she bought candles and created an altar in her bedroom. Over the following days, close friends and family began to pray at the site. About 23 more apparitions occurred in that bedroom over the next year. But they also occurred at three other locations until March of 1990. Mary thanked her for coming and told her to pray the Rosary for it “is a shield against evil.” The Virgin told her to meet with her again in 3 days at the original church on Tepeyac Hill – but the group was supposed to depart that evening to fly back to Ecuador. Patricia expressed her dilemma, but Mary just smiled. That evening the plane was overbooked, and the girls had to wait for the next flight — in several days! Patricia’s bedroom where the apparitions started. At this moment, miraculously, the Sacred Host appeared upon her tongue. Patricia felt a great Love pouring into her along with the Virgin’s promise to be with her forever. She took the responsibility of retaining the great secret very seriously. Pachi felt a great peace afterwards. It was hard to give up her fun-loving activities and stubborn independence. She found a way to still have fun but with a new emphasis in life. The Bishop would not authorize the event, but said that they were free to gather to pray without official approval. He did not want to sanction the apparitions and have anybody know that that was why they were gathering. Nevertheless, in just three days, two thousand people gathered in an open site, having traveled as far as four hours away! In obedience to the bishop’s requests, Patricia refused to be identified or interviewed, but news of the apparitions had already spread. On December 15, 1988, family and close friends noted something different when Patricia went into an ecstasy in her bedroom. She began to speak – but without her Cuencano accent! To their amazement, they realized that the Blessed Mother was speaking through Patricia. Pachi was totally unaware of what had happened and did not remember the words she had spoken. The ladies immediately placed their Rosaries on the altar for Mary to bless. As they finished praying the Rosary the beautiful smell of flowers was present in the room! Patricia revealed that these visits are unpredictable but usually during prayers at home or at church. Many times she would feel a “calling deep within myself” to go to a particular location and begin praying. She would usually see a bright light and sometimes a wind blowing right before Mary or Jesus would appear on a cloud. From the beginning, Patricia had made a small altar or shrine in her bedroom where she had arranged pictures and statues along with blessed candles. On January 15 of 1989, these pictures and statues began exuding oil and tears. Droplets of blood formed on the crucifix. 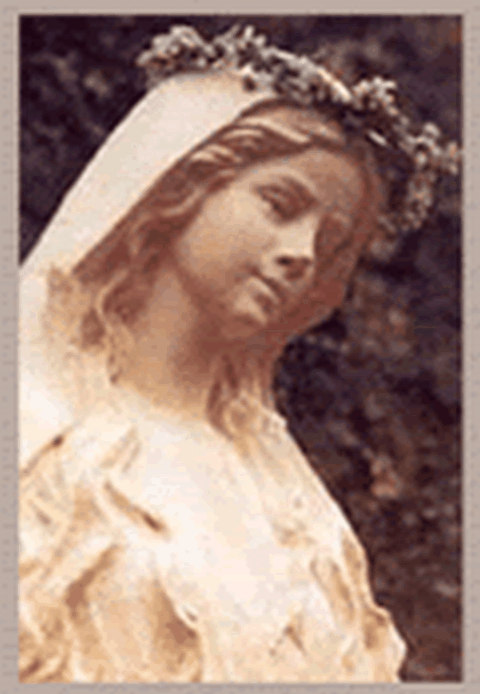 Regarding this phenomena, Blessed Mary revealed to Pachi on February 1, 1989 that the oil was an oil of salvation for those with strong faith – and that the sick should be blessed with this oil. Patricia’s boyfriend, Andres, had been out of the country for much of this time and was not sure what he believed. Taking a dry picture of the Holy Shroud of Christ, he held it in his own hands while the group prayed. He was amazed to see oil coming from the eyes in the picture and droplets of liquid forming from around the crown of thorns. All of his doubts about the apparitions vanished with this stunning event. A doctor took samples of the blood droplets and oil from the holy objects. The blood had red blood cells; the oil had human cells in it, but the type of oil could not be identified. In March, Blessed Mary explained that the tears were from her sadness because so many of her children were still so far away from God. Patricia in ecstasy with the Virgin Mary. Mother Mary added that she wanted the area fenced off, and that a special area called “the Garden” be reserved as a holy place, a sanctuary. She said that the “Garden” would be a little piece of Heaven, and only those She invites should come into it. Jesus also appeared again to Patricia and commented on his mother’s birthday, stating that she is the most beautiful lady both on earth and in heaven. Our Lady then requested that people gather on September 7 and consecrate themselves to the Merciful Heart of Jesus and Her Immaculate Heart. If they did so, she would “pour out My Love upon these little souls with little miracles for my sinners.” In response to her request, over 100,000 people came for the pilgrimage on September 7th. The Archangels Michael and Gabriel accompanied Blessed Mary. 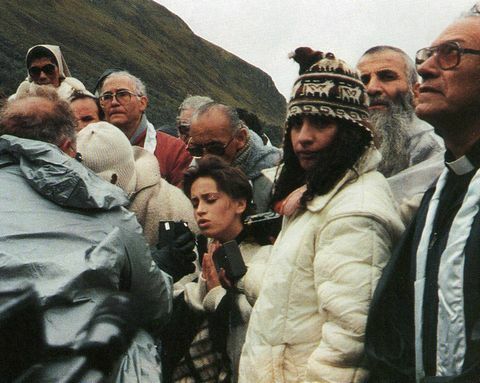 She asked for peace, no mockery or sensationalism regarding the apparitions, more prayer, attendance at Mass, and for young people to set an example in praying the Rosary. The massive crowd witnessed supernatural events in the sky – like the sun changing colors and hurtling toward them! These celestial miracles were repeated on other occasions and witnessed by many. Mary promised to return on the first Saturday of each month. On November 8, 1989, Patricia was trying to study in her bedroom when she sensed Mary’s presence just before she appeared to her. Our Lady told Patricia to look in the little box that the little Fatima statue had been placed on; “There is My Sacred Son.” Patricia removed the statue and opened the box; there was a Sacred Host inside! As she dropped to her knees immediately in adoration, Mary told her that St. Michael had placed it there – and that she should pray before it every day, telling very few people. After several months of dedicated adoration and cautious disclosure, Jesus told her that a priest should distribute it to the inhabitants of the house. 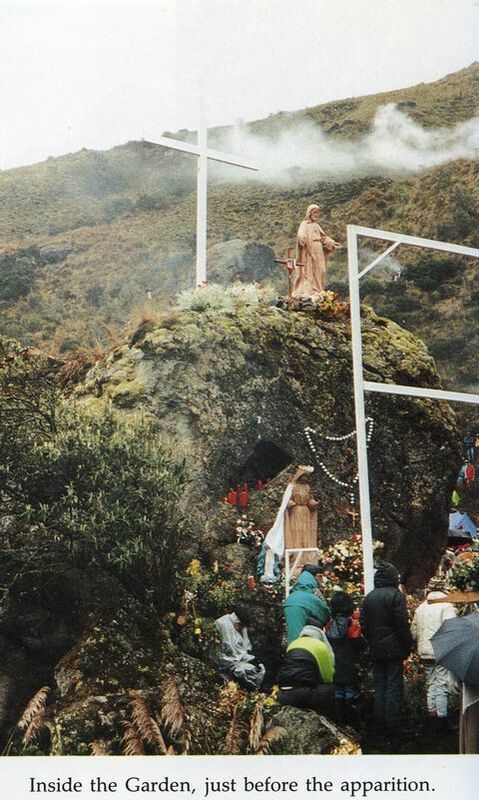 On March 4, 1990, after the last apparition of Mary, Father Teran celebrated that special Mass in their home. The huge crowd for the final apparition in March of 1990. A phenomenon was witnessed on that day by thousands of persons. The clouds parted and a great light formed the image of Our Lady of the Miraculous Medal in the sky. Hands and faces sparkled with a golden glow – as if from glitter. This amazing celestial image converted many people who had been “just curious” until that moment. 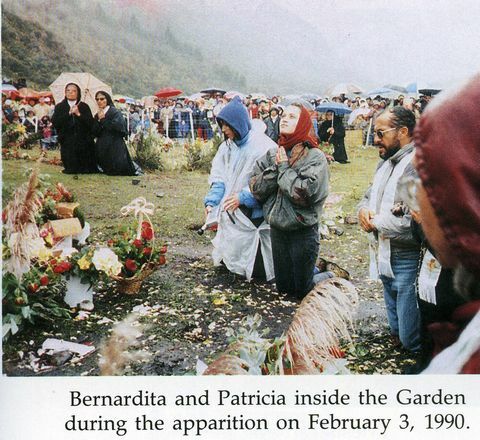 On the first Saturday in 1990, on January 6, more than 10,000 convened on the mountain and spent the night; Mary appeared to Patricia at 4:00 a.m.
During the month of January, some of the pictures in Patricia’s bedroom sweated tears again, and the crucifix bled. There was also a drop of blood on the Sacred Host in her box. She announced in February that March 3rd would be her last visit with Patricia. 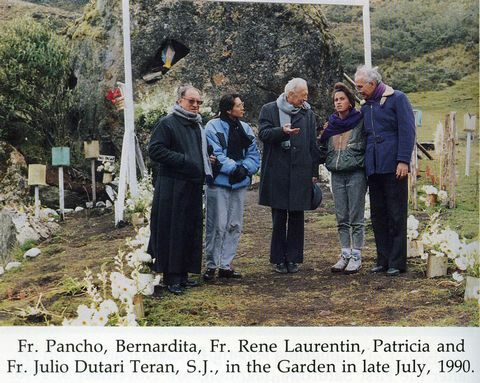 Returning to the “Garden” at El Cajas after the apparitions ended. Patricia marries her long-time boyfriend finally. A geological team had been performing experiments before, during, and after the apparitions. They had two fascinating discoveries: (1) the temperature was clearly measured as warmer only within the sacred “Garden” area of El Cajas, (2) a compass needle shifted 90 degrees during the apparition, pointing in the direction of where the Virgin was said to have appeared. Sister Isabel Bettwy replicated this experiment with her own compass, watching it suddenly shift from its normal position during the apparition to wildly rotating 360 degrees one direction and then the other without any obvious cause — other than the Virgin’s invisible presence at that moment. For two months in 1989, a Diocesan Commission of three priests was appointed by Archbishop Luna. But they did not read the journals or documentation that had been kept, nor interview any of the key people involved other than Patricia and her mother. On April 18, 1989, the Commission presented their findings to Patricia and her mother. 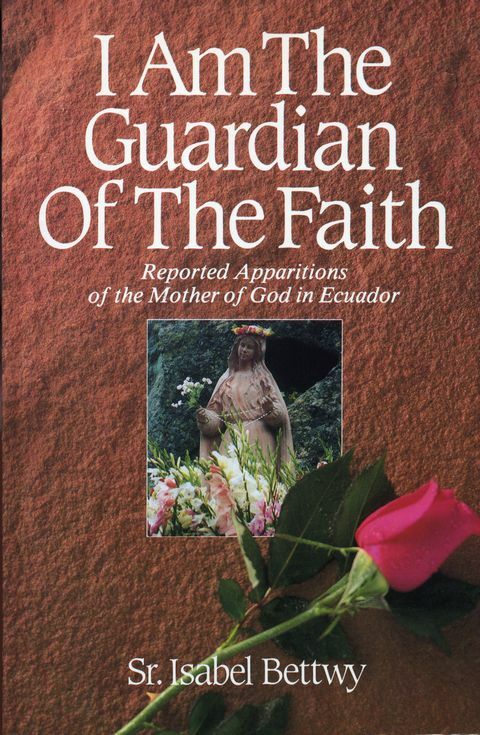 The book which details the events of the apparitions in Ecuador. Despite the documented events of statues weeping or exuding oil, pictures crying tears, drops of blood, the strong smell of roses that were never present, the sun dancing, and the celestial images of Mary in the sky seen by thousands, they stated that they could not prove any supernatural manifestations or confirm that the messages actually came from heaven. The cautious and conservative Commission appreciated her sincerity and did not dismiss the apparitions – but would not officially approve of them. 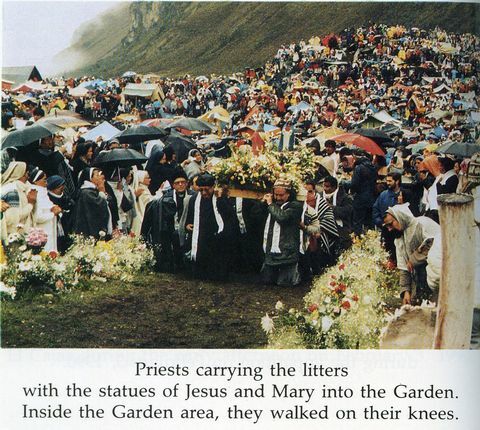 After thousands of pilgrims traveled to El Cajas from all over Ecuador and from other countries, the Bishop reopened the Diocesan investigation in February of 1990. He enlarged the commission to include five priests and three doctors. 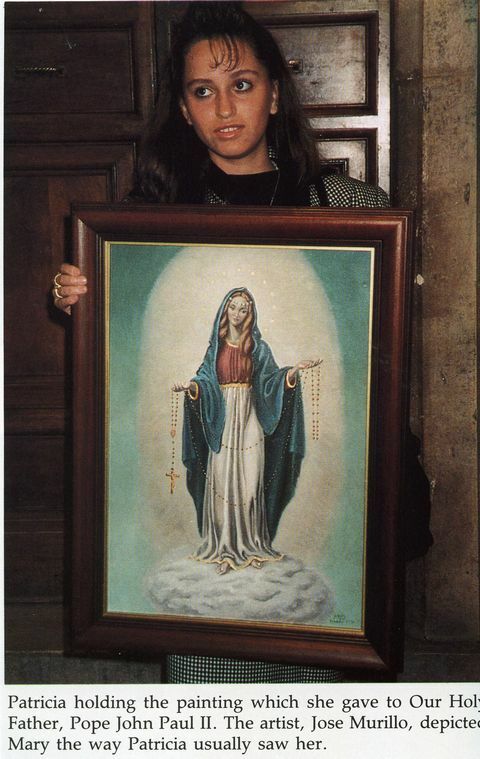 An internationally known linguist performed an analysis of Patricia’s voice during the apparitions because it was distinctly different as she related Mary’s messages. Her voice became higher-pitched and more delicate, “sweet to the ears” as many had described. The linguist’s findings were passed on to the Commission as well. But official approval remains elusive as the Commission adopted a “wait and see” attitude while giving permission for the faithful to follow the messages and requests of Our Lady as long as they are not in any conflict with existing Church practices. Adverse publicity and ridicule led to one priest’s suggestion to Patricia to take a “vow of silence” – to not speak publicly. In her obedience to the Church, she follows that suggestion even to today. 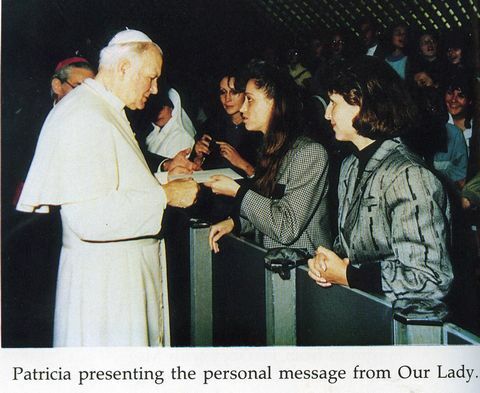 However, on April 4, 1990, she did deliver in person a message from the Holy Virgin to Pope John Paul II, receiving his blessing and support. 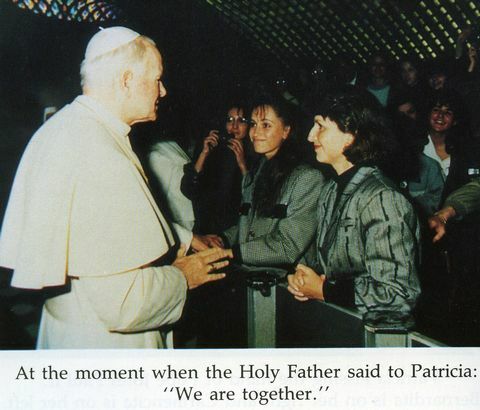 Through Sister Isabel Bettwy, a dedicated investigator who came to Ecuador, Patricia was also able to travel to Medjugorje and become acquainted with the visionaries there. 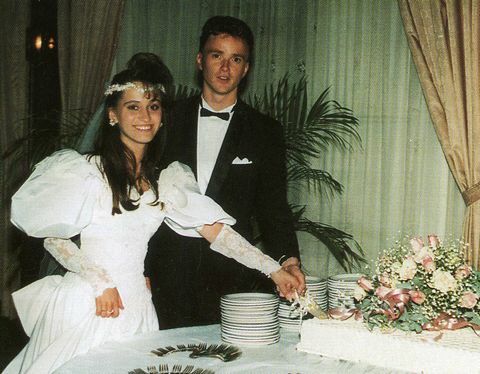 Patricia married her boyfriend, Andres Cordova, in 1991, and then dedicated their lives toward helping the poor and sick as well as teaching youth groups and young couples how to grow deeper in their Catholic faith.